In medicine, dialysis is the process of removing excess water, solutes, and toxins from the blood in people whose kidneys can no longer perform these functions naturally. This is referred to as renal replacement therapy. Hematuria is the presence of red blood cells in the urine. Visible hematuria, also known as gross hematuria, causes visible red or brown discoloration of the urine. Microscopic hematuria is invisible to the naked eye and is often found by urinalysis or urine dipstick; it is said to be chronic or persistent if 5 or more red blood cells (RBCs) per high-power field can be seen in 3 of 3 consecutive centrifuged specimens obtained at least 1 week apart. Any part of the kidneys or urinary tract can leak blood into the urine. The causes of hematuria are broad, ranging from urinary tract infection to kidney stones to bladder cancer. Kidney failure, also known as end-stage kidney disease, is a medical condition in which the kidneys no longer function. It is divided into acute kidney failure and chronic kidney failure. Symptoms may include leg swelling, feeling tired, vomiting, loss of appetite, or confusion. Complications of acute disease may include uremia, high blood potassium, or volume overload. Complications of chronic disease may include heart disease, high blood pressure, or anemia. Thrombotic microangiopathy (TMA) is a pathology that results in thrombosis in capillaries and arterioles, due to an endothelial injury. It may be seen in association with thrombocytopenia, anemia, purpura and renal failure. Edema, also spelled oedema or œdema, is an abnormal accumulation of fluid in the interstitium, located beneath the skin and in the cavities of the body, which can cause severe pain. 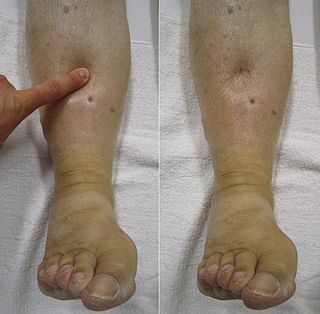 Clinically, edema manifests as swelling. The amount of interstitial fluid is determined by the balance of fluid homeostasis and the increased secretion of fluid into the interstitium. The word is from Greek οἴδημα oídēma meaning "swelling". The condition is also known as dropsy. The typical pathophysiology of HUS involves the binding of Shiga-toxin to the globotriaosylceramide (Gb3; also called ceramide trihexoside which accumulates in Fabry disease) receptor on the surface of the glomerular endothelium. This action includes a cascade of signaling events leading to apoptosis and binding of leukocytes to endothelial cells. The Shiga-toxin-activated endothelial cells then become thrombogenic (clot-producing) by a mechanism that is not fully understood,  though they have been shown to induce the release of cytokines and chemokines that are implicated in platelet activation. Additionally, the binding action of Shiga-toxin inactivates a metalloproteinase called ADAMTS13, the deficiency of which causes the closely related TTP. Once ADAMTS13 is disabled, multimers of von Willebrand Factor (vWF) form and initiate platelet activation, causing microthrombus formation. The activation of platelets resulting from inhibition of ADAMTS13 is due to the hyperactivity of large multimers of uncleaved vWF. The arterioles and capillaries of the body become obstructed by the resulting complexes of activated platelets, which have adhered to the endothelium via large multimeric vWF. Through a mechanism known as microangiopathic hemolysis, the growing thrombi lodged in smaller vessels destroy red blood cells (RBCs) as they squeeze through the narrowed blood vessels, forming schistocytes, or fragments of sheared RBCs. The presence of schistocytes is a key finding that helps to diagnose HUS. Typically, this hemolysis results in a hemoglobin level of less than 80 g/L. The country with the highest incidence of HUS is Argentina     and it performs a key role in the research of this condition. Thrombotic thrombocytopenic purpura (TTP) is a blood disorder that results in blood clots forming in small blood vessels throughout the body. This results in a low platelet count, low red blood cells due to their breakdown, and often kidneys, heart, and brain dysfunction. Symptoms may include large bruises, fever, weakness, shortness of breath, confusion, and headache. Repeated episodes may occur. Uremia is the condition of having high levels of urea in the blood. Urea is one of the primary components of urine. It can be defined as an excess of amino acid and protein metabolism end products, such as urea and creatinine, in the blood that would be normally excreted in the urine. Uremic syndrome can be defined as the terminal clinical manifestation of kidney failure. It is the signs, symptoms and results from laboratory tests which result from inadequate excretory, regulatory and endocrine function of the kidneys. Both uremia and uremic syndrome have been used interchangeably to denote a very high plasma urea concentration that is the result of renal failure. The former denotation will be used for the rest of the article. Microangiopathic hemolytic anemia (MAHA) is a microangiopathic subgroup of hemolytic anemia caused by factors in the small blood vessels. It is identified by the finding of anemia and schistocytes on microscopy of the blood film. von Willebrand factor (VWF) is a blood glycoprotein involved in hemostasis. It is deficient and or defective in von Willebrand disease and is involved in a large number of other diseases, including thrombotic thrombocytopenic purpura, Heyde's syndrome, and possibly hemolytic-uremic syndrome. Increased plasma levels in a large number of cardiovascular, neoplastic, and connective tissue diseases are presumed to arise from adverse changes to the endothelium, and may contribute to an increased risk of thrombosis. Hemoglobinuria is a condition in which the oxygen transport protein hemoglobin is found in abnormally high concentrations in the urine. The condition is often associated with any hemolytic anemia with primarily intravascular hemolysis, in which red blood cells (RBCs) are destroyed, thereby releasing free hemoglobin into the plasma. Excess hemoglobin is filtered by the kidneys, which excrete it into the urine, giving urine a purple color. Hemoglobinuria can lead to acute tubular necrosis which is an uncommon cause of a death of uni-traumatic patients recovering in the ICU. Complement factor I, also known as C3b/C4b inactivator, is a protein that in humans is encoded by the CFI gene. Complement factor I is a protein of the complement system, first isolated in 1966 in guinea pig serum, that regulates complement activation by cleaving cell-bound or fluid phase C3b and C4b. It is a soluble glycoprotein that circulates in human blood at an average concentration of 35 μg/mL. Atypical hemolytic uremic syndrome (aHUS) is an extremely rare, life-threatening, progressive disease that frequently has a genetic component. In most cases it is caused by chronic, uncontrolled activation of the complement system, a branch of the body’s immune system that destroys and removes foreign particles. The disease affects both children and adults and is characterized by systemic thrombotic microangiopathy (TMA), the formation of blood clots in small blood vessels throughout the body, which can lead to stroke, heart attack, kidney failure, and death. The complement system activation may be due to mutations in the complement regulatory proteins, or is occasionally due to acquired neutralizing autoantibody inhibitors of these complement system components, for example anti–factor H antibodies. Prior to availability of eculizumab (Soliris), an estimated 33–40% of patients died or developed end-stage renal disease (ESRD) with the first clinical bout of aHUS. Including subsequent relapses, a total of approximately two-thirds (65%) of patients died, required dialysis, or had permanent renal damage within the first year after diagnosis despite plasma exchange or plasma infusion (PE/PI). 1 2 3 4 5 6 7 8 9 10 11 12 13 14 15 16 17 18 19 20 21 22 Cody, EM; Dixon, BP (February 2019). "Hemolytic Uremic Syndrome". Pediatric Clinics of North America. 66 (1): 235–246. doi:10.1016/j.pcl.2018.09.011. PMID 30454746. 1 2 3 4 5 6 7 8 9 10 "Hemolytic uremic syndrome". Genetic and Rare Diseases Information Center (GARD). Retrieved 21 November 2018. 1 2 3 Salvadori, M; Bertoni, E (6 August 2013). "Update on hemolytic uremic syndrome: Diagnostic and therapeutic recommendations". World Journal of Nephrology. 2 (3): 56–76. doi:10.5527/wjn.v2.i3.56. PMC 3832913 . PMID 24255888. ↑ Ferri, Fred F. (2010). Ferri's Differential Diagnosis E-Book: A Practical Guide to the Differential Diagnosis of Symptoms, Signs, and Clinical Disorders. Elsevier Health Sciences. p. 219. ISBN 978-0323081634. 1 2 3 4 5 6 7 8 Noris, M; Remuzzi, G (2009). "Atypical hemolytic-uremic syndrome". N Engl J Med . 361 (17): 1676–1687. doi:10.1056/NEJMra0902814. PMID 19846853. 1 2 3 4 5 6 7 Benz, K; Amann, K (2010). "Thrombotic microangiopathy: new insights". Current Opinion in Nephrology and Hypertension. 19 (3): 242–247. doi:10.1097/MNH.0b013e3283378f25. PMID 20186056. ↑ Gasser C, Gautier E, Steck A, Siebenmann RE, Oechslin R (September 1955). "Hemolytic-uremic syndrome: bilateral necrosis of the renal cortex in acute acquired hemolytic anemia". Schweiz Med Wochenschr (in German). 85 (38–39): 905–9. PMID 13274004. 1 2 "E.coli (Escherichia coli): Symptoms". Centers for Disease Control and Prevention . U.S. Department of Health & Human Services. 2017-11-30. Retrieved 22 November 2018. 1 2 3 "Hemolytic uremic syndrome (HUS)". Center for Acute Disease Epidemiology. Iowa Department of Public Health. Retrieved 21 November 2018. 1 2 Boyer, O; Niaudet, P (August 2011). "Hemolytic Uremic Syndrome: New Developments in Pathogenesis and Treatments". Int J Nephrol. 2011: 1–10. doi:10.4061/2011/908407. PMC 3159990 . PMID 21876803. 1 2 Kumar, V; Cotran, RS; Robbins, SL, eds. (2002). Robbins Basic Pathology. Philadelphia, PA: Saunders. ISBN 978-0721692746. ↑ Nathanson, S.; Kwon, T.; Elmaleh, M.; et al. (2010). "Acute neurological involvement in diarrhea-associated hemolytic uremic syndrome". Clin J Am Soc Nephrol. 5 (7): 1218–1228. doi:10.2215/CJN.08921209. PMC 2893076 . PMID 20498239. 1 2 3 Ohanian, M; Cable, C; Halka, K (2011). "Eculizumab safely reverses neurologic impairment and eliminates the need for dialysis in severe atypical hemolytic uremic syndrome". Clin Pharmacol. 3: 5–12. doi:10.2147/CPAA.S17904. PMC 3262387 . PMID 22287852. 1 2 3 4 5 Loirat, C; Noris, M; Fremaux-Bacchi, V (2008). "Complement and the atypical hemolytic uremia syndrome in children". Pediatr Nephrol. 23 (11): 1957–1972. doi:10.1007/s00467-008-0872-4. PMID 18594873. 1 2 3 4 5 6 7 8 9 10 11 Caprioli, J.; Noris, M.; Brioschi, S.; et al. (2006). "Genetics of HUS: the impact of MCP, CFH, and IF mutations on clinical presentation, response to treatment, and outcome". Blood. 108 (4): 1267–1279. doi:10.1182/blood-2005-10-007252. PMC 1895874 . PMID 16621965. 1 2 3 Ariceta, Gema; Besbas, Nesrin; Johnson, Sally; et al. (2009). "Guideline for the investigation and initial therapy of diarrhea-negative hemolytic uremic syndrome". Pediatr Nephrol. 24 (4): 687–696. doi:10.1007/s00467-008-0964-1. PMID 18800230. 1 2 3 4 5 Sellier-Leclers, A.-L.; Fremeaux-Bacchi, V.; Dragon-Durey, M.-A. ; et al. (2007). "Differential impact of complement mutations on clinical characteristics in atypical hemolytic uremic syndrome". J Am Soc Nephrol. 18 (8): 2392–2400. doi:10.1681/ASN.2006080811. PMID 17599974. 1 2 3 4 5 6 7 8 Noris, M.; Caprioli, J.; Bresin, E.; et al. (2010). "Relative role of genetic complement abnormalities in infrequent and familial aHUS and their impact on clinical phemotype". Clin J Am Soc Nephrol. 5 (10): 1844–1859. doi:10.2215/CJN.02210310. PMC 2974386 . PMID 20595690. 1 2 Ståhl, A.-L.; Vazir-Sani, F.; Heinen, S.; et al. (2008). "Factor H dysfunction in patients with atypical hemolytic uremic syndrome contributes to complement deposition on platelets and their activation". Blood. 111 (11): 5307–5317. doi:10.1182/blood-2007-08-106153. PMID 18268093. 1 2 3 4 5 Dragon-Durey, M.-A. ; Sethi, S. K.; Bagga, A.; et al. (2010). "Clinical features of anti-factor H autoantibody-associated hemolytic uremic syndrome". J Am Soc Nephrol. 21 (12): 2180–2187. doi:10.1681/ASN.2010030315. PMC 3014031 . PMID 21051740. 1 2 3 4 Zuber, J; Le Quintrec, M; Sberro-Scussan, R; Loirat, C; Fremaux-Bacchi, V; Legendre, C (2011). "New insights into postrenal transplant hemolytic uremic syndrome". Nature Reviews Nephrology. 7 (1): 23–35. doi:10.1038/nrneph.2010.155. PMID 21102542. 1 2 3 Sallee, M; et al. (2010). "Myocardial infarction is a complication of factor H-associated atypical HUS". Nephrol Dial Transplant. 25 (6): 2028–2032. doi:10.1093/ndt/gfq160. PMID 20305136. 1 2 3 Neuhaus, TJ; Calonder, S; Leumann, EP (1997). "Heterogeneity of atypical haemolytic uraemis syndromes". Arch Dis Child. 76 (6): 518–521. doi:10.1136/adc.76.6.518. PMC 1717216 . PMID 9245850. 1 2 3 Noris, M; Remuzzi, G (2005). "Hemolytic uremic syndrome". J Am Soc Nephrol. 16 (4): 1035–1050. doi:10.1681/ASN.2004100861. PMID 15728781. ↑ Mache, CJ; et al. (2009). "Complement inhibitor eculizumab in atypical hemolytic uremic syndrome". Clin J Am Soc Nephrol. 4 (8): 1312–1316. doi:10.2215/CJN.01090209. PMC 2723971 . PMID 19556379. 1 2 3 Palermo, MS; Exeni, RA; Fernandez, GC (2009). "Hemolytic Uremic Syndrome: pathogenesis and update of interventions". Expert Rev Anti Infect Ther. 7 (6): 697–707. doi:10.1586/eri.09.49. PMID 19681698. 1 2 3 Tsai, H-M (2010). "Pathophysiology of thrombotic thrombocytopenic purpura". Int J Hematol. 91 (1): 1–19. doi:10.1007/s12185-009-0476-1. PMC 3159000 . PMID 20058209. 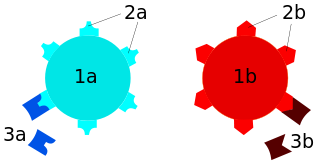 1 2 3 4 Zipfel, PF; Heinen, S; Skerka, C (2010). "Thrombotic microangiopathies: new insights and new challenges". Current Opinion in Nephrology and Hypertension. 19 (4): 372–378. doi:10.1097/MNH.0b013e32833aff4a. PMID 20539230. ↑ George, JN (2010). "How I treat my patients with thrombotic thrombocytopenic purpura". Blood. 116 (20): 4060–4069. doi:10.1182/blood-2010-07-271445. PMID 20686117. ↑ Michon, B; et al. (2007). "Complications of apheresis in children". Transfusion. 47 (10): 1837–1842. doi:10.1111/j.1537-2995.2007.01405.x. PMID 17880609. ↑ Collins, Allan J.; et al. (2010). "Excerpts from the US Renal Data System 2009 Annual Data Report". Am J Kidney Dis. 55 (1 Suppl 1): S1–S7. doi:10.1053/j.ajkd.2009.10.009. PMC 2829836 . PMID 20082919. ↑ European Renal Association- European Dialysis and Transplant Association Registry (2011). ERA-EDTA Registry Annual Report 2009. Amsterdam, The Netherlands: Academic Medical Center Department of Medical Informatics. ↑ Robert Koch Institute. "Technical Report: EHEC/HUS O104:H4 Outbreak, Germany, May/June 2011" (PDF). Berlin, Germany: Robert Koch Institute. Archived from the original (PDF) on 2016-04-08. ↑ Psotka, MA; et al. (2009). "Shiga toxin 2 targets the murine renal collecting duct epithelium". Infect Immun. 77 (3): 959–969. doi:10.1128/IAI.00679-08. PMC 2643625 . PMID 19124603. ↑ Zoja, C; Buelli, S; Morigi, M (2010). "Shoga toxin-associated hemolytic uremic syndrome: pathophysiology of endothelial dysfunction". Pediatr Nephrol. 25 (11): 2231–2240. doi:10.1007/s00467-010-1522-1. PMID 20424866. ↑ Guessous, F; et al. (2005). "Shiga toxin 2 and lipopolysaccharide induce human microvascular endothelial cells to release chemokines and factor that stimulate platelet function". Infect Immun. 73 (12): 8306–8316. doi:10.1128/IAI.73.12.8306-8316.2005. PMC 1307066 . PMID 16299328. ↑ Orth D, Würzner R (September 2010). "Complement in typical hemolytic uremic syndrome". Seminars in Thrombosis and Hemostasis. 36 (6): 620–4. doi:10.1055/s-0030-1262883. PMID 20865638. ↑ Stahl, AL; Startz, L; Karpman, D (2011). "Complement activation on platelet-leukocyte complexes and microparticles in enterohemorrhagic Escherichia coli-induced hemolytic uremic syndrome". Blood. 117 (20): 5503–5513. doi:10.1182/blood-2010-09-309161. PMID 21447825. ↑ Thurman, J.M. ; et al. (2009). "Alternative pathway of complement in children with diarrhea-associated hemolytic uremic syndrome". Clin J Am Soc Nephrol. 4 (12): 1920–1924. doi:10.2215/CJN.02730409. PMC 2798880 . PMID 19820137. 1 2 Mache, C; et al. (June 2010). "Eculizumab in diarrhea-associated hemolytic uremic syndrome". Presented at the 2nd International Conference on HUS-MPGN-PNH. ↑ Tan, AJ (2017-12-27). "Hemolytic uremic syndrome in emergency medicine". Medscape EMedicine. 1 2 Kanso, AA; Abou Hassan, NM; Badr, KF (2008). "Micro and macrovascular disease of the kidney". In: Brenner BM, Ed. The Kidney, 8th Edition: chapter 32. ↑ Mead, PS; Griffin, PM (1998). "Escherichia coli O157:H7". Lancet. 352 (9135): 1207–1212. doi:10.1016/S0140-6736(98)01267-7. PMID 9777854. ↑ Ruggenenti, P; Noris, M; Remuzzi, G (2001). "Thrombotic microangiopathy, hemolytic uremic syndrome, and thrombotic thrombocytopenic purpura". Kidney Int. 60 (3): 831–846. doi:10.1046/j.1523-1755.2001.060003831.x. PMID 11532079. ↑ Al-Akash, AI; Almond, PS; Savell, VH Jr; Gharaybeth, SI; Hogue, C (2011). "Eculizumab includes long-term remission in recurrent post-transpant HUS associated with C3 gene mutation". Pediatr Nephrol. 26 (4): 613–619. doi:10.1007/s00467-010-1708-6. PMID 21125405. ↑ Gangnadoux, MF; Habib, R; Gubler, MC; Bacri, JL; Broyer, M (1996). "Long-term (15-25 years) outcome of childhood hemolytic-uremic syndrome". Clin Nephrol. 46 (1): 39–41. PMID 8832149. ↑ Zhen, XL; et al. (2010). "Multiple domains of ADAMTS13 are targeted by autoantibodies against ADAMTS13 in patients with acquired idiopathic thrombotic thrombocytopenic purpura". Haematologica. 95 (9): 1555–1562. doi:10.3324/haematol.2009.019299. PMC 2930958 . PMID 20378566. ↑ O'Ryan, M; Vidal, R; Del Canto, F; Salazar, J C; Montero, D (2015). "Vaccines for viral and bacterial pathogens causing acute gastroenteritis: Part II: Vaccines for Shigella, Salmonella, enterotoxigenic E. coli (ETEC) enterohemorragic E. coli (EHEC) and Campylobacter jejuni". Human Vaccines & Immunotherapeutics. 11 (3): 601–619. doi:10.1080/21645515.2015.1011578. PMC 4514228 . PMID 25715096. 1 2 Parmar, MS (2010). "Hemolytic-uremic syndrome". Medscape EMedicine. ↑ Chu, P; Hemphill, RR (2004). "222: Acquired hemolytic anemia". Emergency Medicine: A Comprehensive Study Guide (6th ed.). New York, NY: McGraw-Hill. ISBN 978-0-07-138875-7. ↑ Rivero, MA; Passucci, JA; Rodriguez, EM; Signorini, ML; Tarabla, HD; Parma, AE (2011). "Factors associated with sporadic verotoxigenic Escherichia coli infection in children with diarrhea from the Central Eastern Area of Argentina". 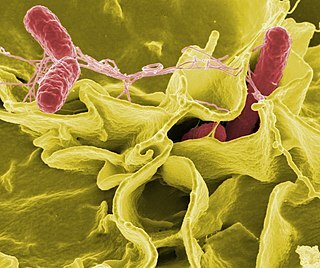 Foodborne Pathogens and Disease. 8 (8): 901–6. doi:10.1089/fpd.2010.0800. PMID 21492023. ↑ Rivas, M; Caletti, MG; Chinen, I; Refi, SM; Roldán, CD; Chillemi, G; Fiorilli, G; Bertolotti, A; Aguerre, L; Sosa Estani, S (2003). "Home-prepared hamburger and sporadic hemolytic uremic syndrome, Argentina". Emerging Infectious Diseases. 9 (9): 1184–6. doi:10.3201/eid0909.020563. PMC 3016759 . PMID 14531383. ↑ Rivero, MA; Padola, NL; Etcheverría, AI; Parma, AE (2004). "Enterohemorrhagic Escherichia coli and hemolytic-uremic syndrome in Argentina". Medicina. 64 (4): 352–6. PMID 15338982. ↑ "What is HUS?" (PDF). 1 2 Corrigan JJ, Boineau FG (November 2001). "Hemolytic-uremic syndrome". Pediatr Rev. 22 (11): 365–9. PMID 11691946. ↑ Buchholz, U; et al. (2011). "German outbreak of escherichia coli O104:H4 associated with sprouts". N Engl J Med. 365 (19): 1763–1770. doi:10.1056/NEJMoa1106482. PMID 22029753. ↑ Frank, C; et al. (2011). "Epidemic profile of Shiga-toxin-producing Escherichia coli O104:H4 outbreak in Germany". N Engl J Med. 365 (19): 1711–1780. doi:10.1056/NEJMoa1106483. PMID 21696328.